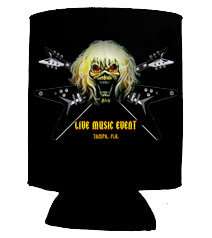 RockStok Event Koozie. Also Comes in Pink for those Pink Lovers. You will need one its Hot in Tampa Fla.